It's approaching the end of the month, which means that we're finally getting confirmed information about some of the new Sengoku Basara publications from magazine announcements. I mentioned the release date for Sengoku Basara Magazine Vol. 5 (Spring 2014) was going to be 27th June 2014 and we now have more details and a placeholder cover image via e-Capcom (which bewilderingly lists its release date as 15th June). 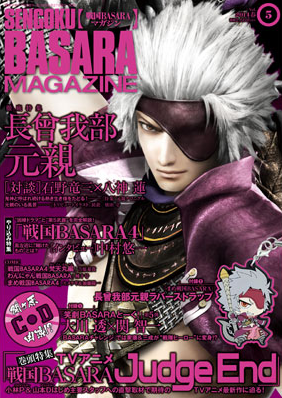 This issue's leading article will be about the upcoming Sengoku Basara: Judge End anime television series. Series producer Kobayashi Hiroyuki (KobaP) and series director Yamamoto Makoto (YamamotoD) will give an interview and there will be comments from the anime's main staff, who will presumably have been announced by that time via the media. The advertising copy promises that it won't be long before we know the full story about the anime (finally!). To go with Motochika theme on the cover, rubber strap (preview picture found by @yukimurabo) and character profile, there will be an interview with seiyuu Ishino Ryuuzou and stage play actor Yagami Ren with pictures of the pair together. As previously announced, the bonus CD will feature Ookawa Tooru (Tokugawa Ieyasu) and Seki Tomokazu (Ishida Mitsunari) and include one of the usual 'Basara Challenge' skits, this time with a 'sentai hero' theme. There will be three manga serialisations: Mame Sengoku Basara 4 (Shucchouban), Sengoku Basara 4: Bontenmaru-hen and Wan-Nyan Sengoku Basara. There will also be articles about the joke weapons and 'fateful encounter' drama scenes in Sengoku Basara 4. A special interview with popular seiyuu Nakamura Yuuichi (Shima Sakon) will complete the Sengoku Basara 4 coverage. At the moment the only website that I've seen taking international preorders for the 114-page magazine is Amazon Japan; other bookstores should start listing it very soon. The series of mugs which displays various characters' most famous lines of dialogue is now adding four new designs to the collection. 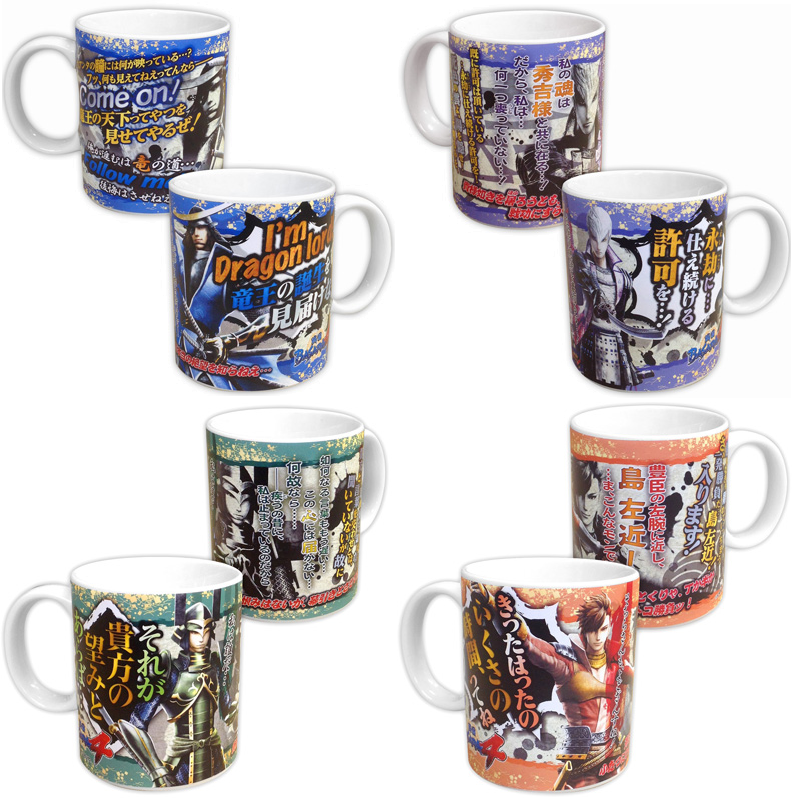 Date Masamune, Ishida Mitsunari, Shibata Katsuie and Shima Sakon have all got new mugs on the way in late June 2014 priced at ¥1,200 each. 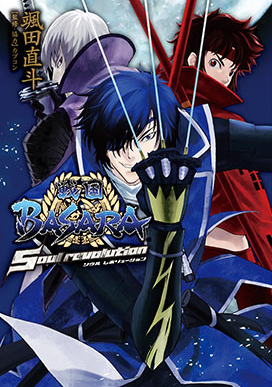 Satta Naoto's one-shot manga adaptation of the Soul Revolution drama CD now has its cover artwork on display at e-Capcom. It's scheduled for release at the end of May 2014 on the Dengeki Comics NEXT label. We finally have the list of contributors for this poorly-advertised anthology manga, which has had a variety of release dates and is now finally available from some stores. Capcom's news feed posted a release announcement yesterday with what looks like the full list of contributing artists: Ashika Nozomu, Satsuki Yuu, Ishida Hayanori, Koutake Hiroyoshi, Sanjou Kiiro, Yamada Uiro, Horiguchi Leo, Shimesaba, Akaboshi Tatsumi, Nagao Uka, Tane Jugou, Katou Michiru, Yoshii Aki, Hakyu Shou, Mizusawa Michiru, Suzuka, Mizuno Sao and Ayamura Kirihito. 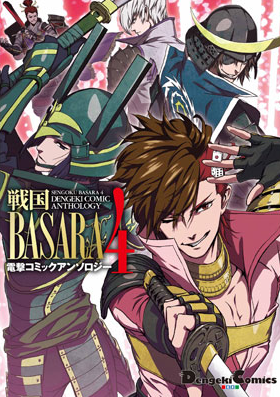 Most of the contributors have participated in previous Sengoku Basara manga anthologies so it will be great to see them drawing the new Sengoku Basara 4 characters! This is just a reminder that the special merchandise from Dengeki's Game No Dengeki Kanshasai 2014 event back in March is now available from the Dengekiya and e-Capcom websites in limited quantities. It may be necessary to use a deputy service to purchase if you don't have a Japanese shipping address; CD Japan or Otaku Republic should be able to help if you're not sure how to buy and don't mind paying the high fees. The whole game thing has been quite occupying and satisfying, but now I getting a bit hyped about more anime also! Does the article say that there will be more info about the anime before the magazine is out, is that correct? It only says that there is information from the staff in the magazine, but as the staff members haven't been announced yet I think it would be weird to reveal all of that in a (relatively niche) magazine instead of through the regular anime press. I'd guess we'll hear some announcements a week or so beforehand when the mainstream monthly anime magazines come out.